We are pleased to announce the 2019 Research Fellowship recipients. Meet the Fellows and learn more about their projects. The UW–Madison Arboretum offers Arboretum Research Fellowships for graduate student researchers. We seek proposals that will address our mission and vision and build on a tradition that began with the earliest plantings to establish tallgrass prairie in 1935 and continued with subsequent experiments to maintain these early restorations. 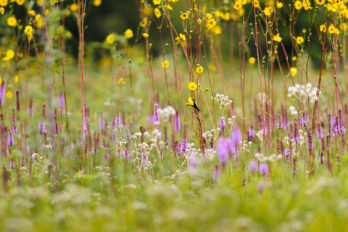 While we are committed to continuing this long tradition of research on adaptive restoration, the Arboretum is also a valuable research site for studies in botany, landscape ecology, horticulture, soil science, wildlife ecology, environmental engineering, social science, and public health. We invite research proposals in all areas relevant to the Arboretum mission, including the social sciences. We are particularly interested in restoration ecology, invasive species monitoring and management, stormwater impacts, horticulture, visitor experiences, citizen science, public engagement, K–12 outdoor education, and the collection and analysis of long-term monitoring data at remnant and restored sites. Proposals may address any of these areas or others that wisely utilize Arboretum land and other resources. There are two fellowship opportunities. The Leopold Fellowship (one award) includes full support (academic year and summer stipend, equivalent to a 50% research assistantship, plus research support) for up to three years. Leopold Fellows must be a Masters or PhD candidate at UW–Madison. Arboretum Research Fellowships (3–5 awards per year) can include summer stipend, undergraduate research assistants, materials, analyses, or other research needs for up to $8,000. Research Fellows must be a Masters or PhD candidate at UW–Madison or another Wisconsin college or university. Fellowships will be awarded annually. Applications for 2019 must be submitted by February 1, 2019. See the Research Fellowships request for proposals for eligibility, application process, and expectations (also linked in the left sidebar).